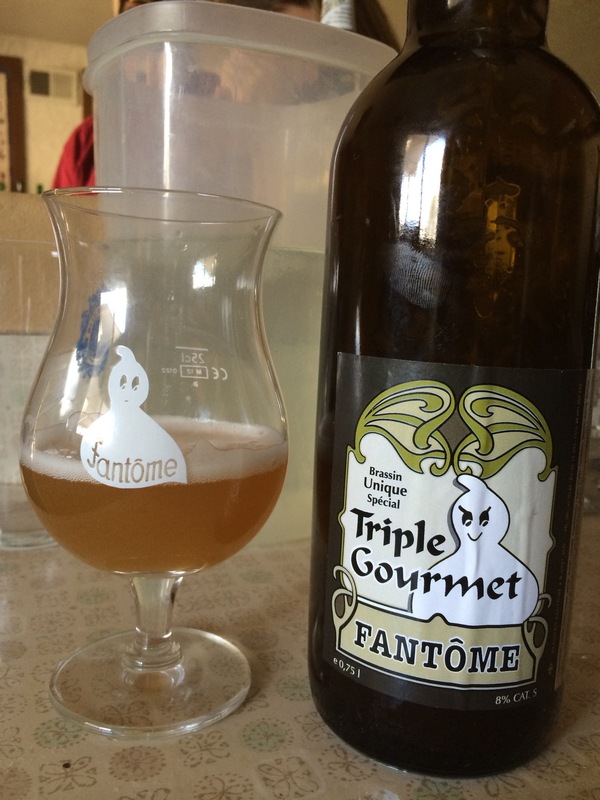 Fantome Triple Gourmet, 0/3 gourmets awarded, potentially negative gourmets. Fantome Triple Gourmet, that bottle that anomalously sits on Etre looking all fancy in it’s Swingtop bottle like a problematic pit bull at the no kill shelter, you just can’t look beyond it’s suspect past. This is a smoky latex mess that tastes like when I ran over a balloon with the vacuum. Probably the worst ghost I have ever had. The mouthfeel has a certain astringent to it like when you pull a bandaid off with your mouth, the scab becomes apparent thereafter. It exhibits a sort of medicinal juniper for a moment then grinds the clutch right back into dentist glove mixed with some tire aisle shopping. If you want a friend to leave every tome on the shelf forever, use this as an example and then he will be forever spreading the dumbshit 2013 gospel warning the philistines of the ghost plague. Except in this instance, he would actually be correct. You see, harmony in nature. This burns down the fantome reputation for beautiful new succulents to ride anew from the ashy soil. It’s like when Three Floyd’s burned down and then we got a retooled recipe for Robert the Bruce. In destruction comes rebirth, the stretching poles of each centriole ripping the cell apart provides the latex base for a new progeny of saison lovers , shedding the unwanted like an old rattlesnake skin.